I just love making these... 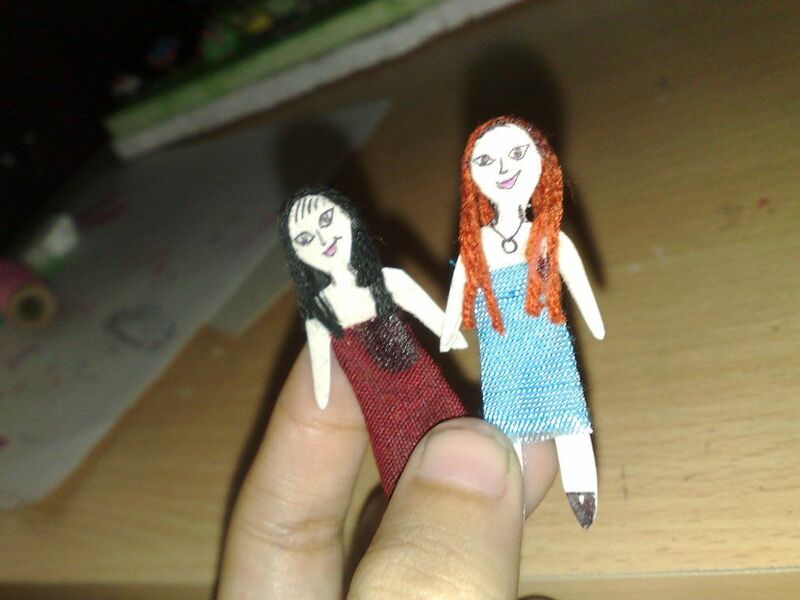 I used to make these for my friends and cousins when I was at school. 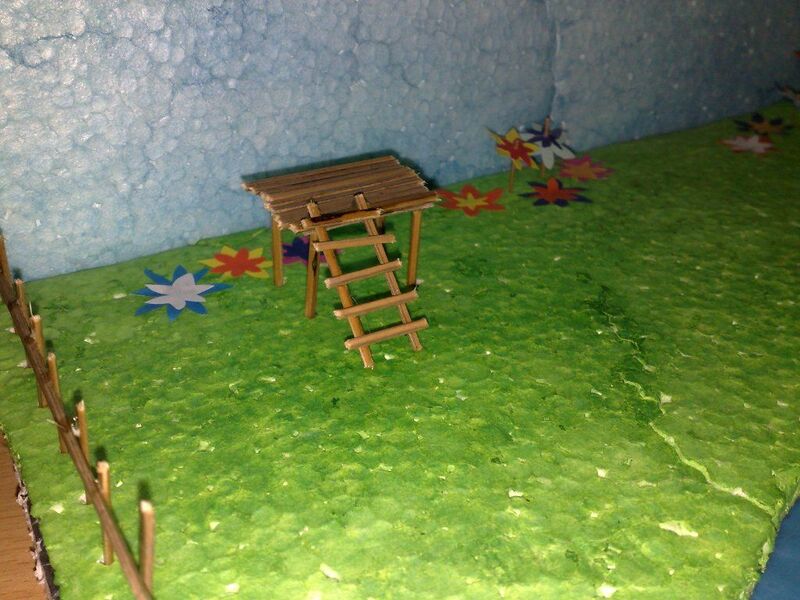 In the last step you can see some pictures of another miniature scenario model, which I made for my younger sister. I was inspired to make another one for my youngest sister and she loves it. 2) Poster colors, paint brush. 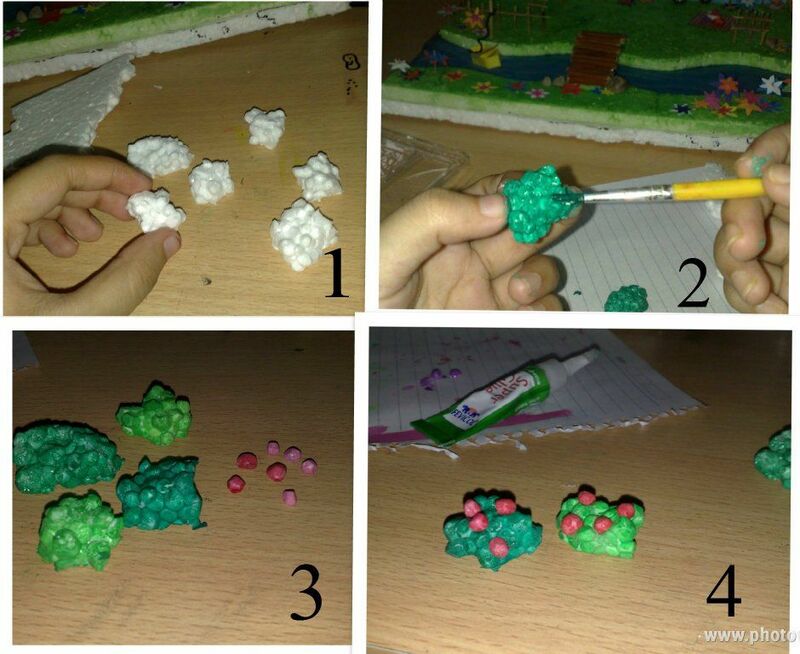 7) and of course you need GLUE!!! Cut 4 pieces of thermocol sheets as shown in the picture. You can paint them with poster colors. Put a blue polythene paper on the big sheet (it's the river). Stick the green ones on both sides of the big sheet (don't cover the blue polythene paper) & the last 1 on the back. Use bright colors for the flowers. 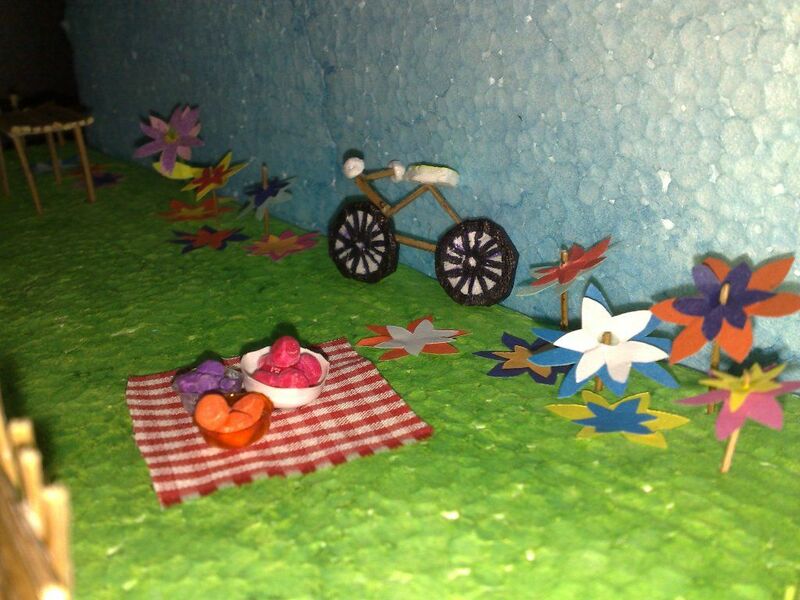 The flowers should be about 1cm or 1.5cm (the smaller, the cuter!!!). 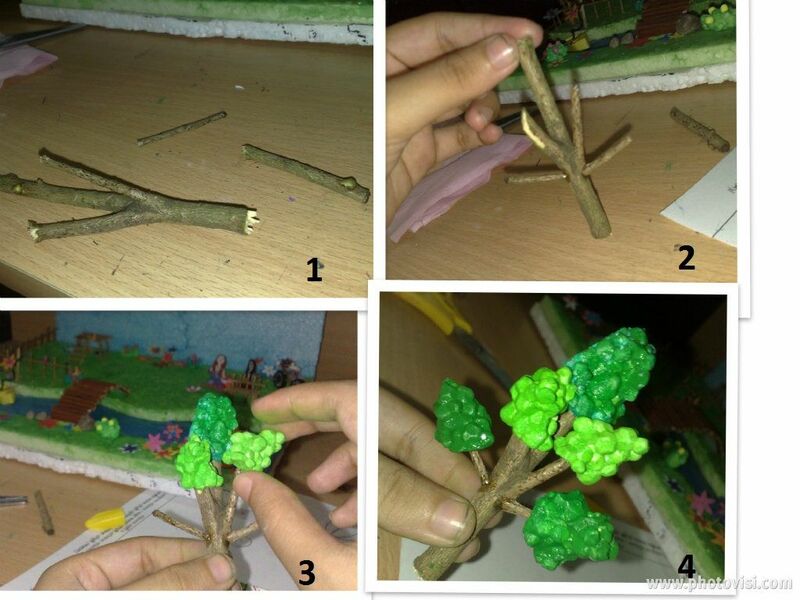 You can use small sticks to make the stems. 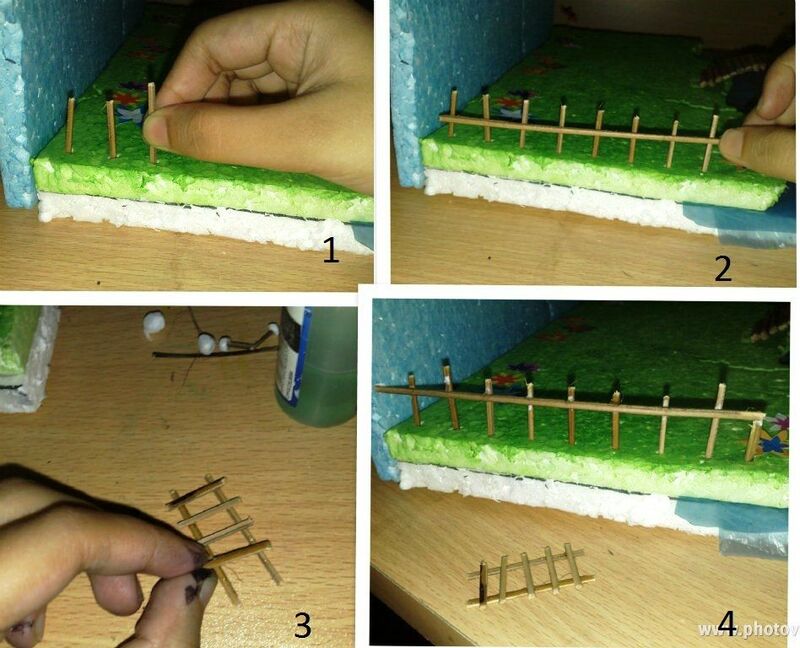 You need small sticks & glue to make the fence and the ladder. It's very simple. 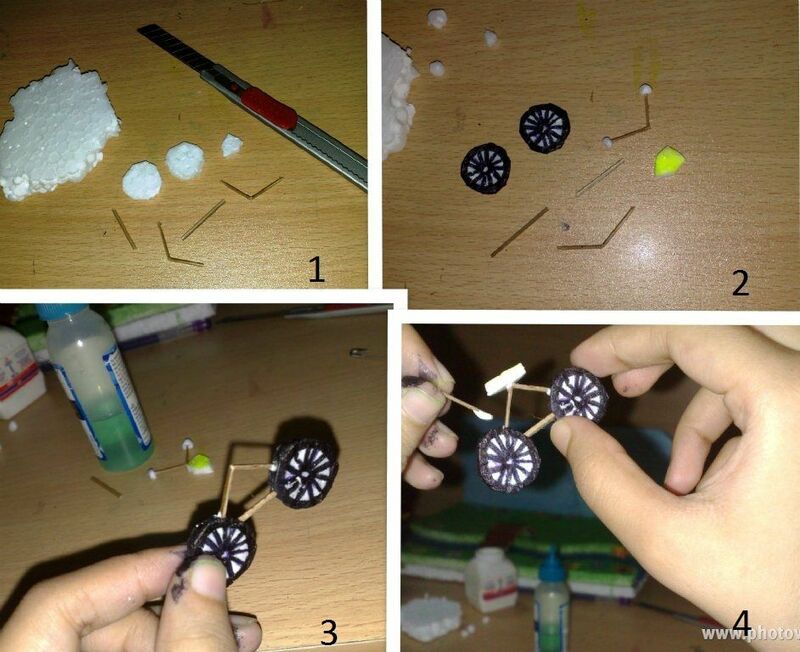 I made the tires & the seat out of thermocol sheets and used small sticks for rest of the parts. 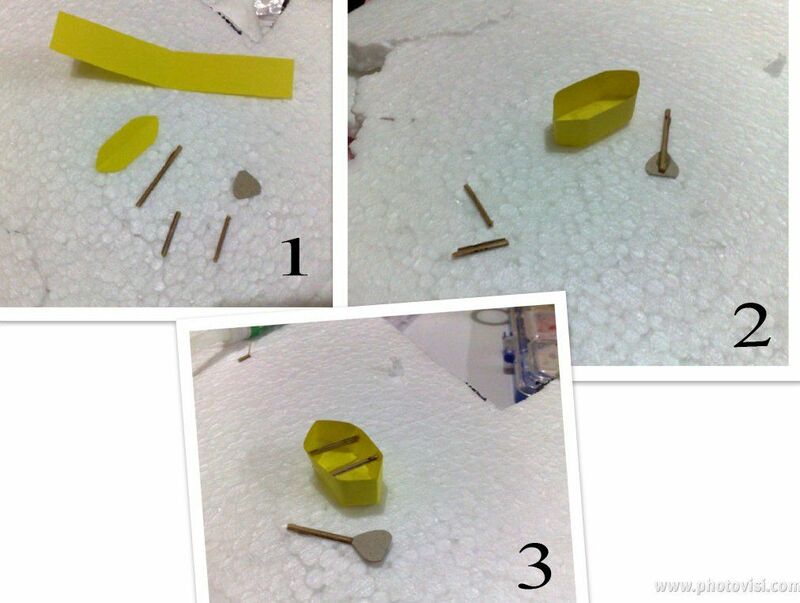 Glue the 4 pieces of sticks & the seat as shown in the picture. 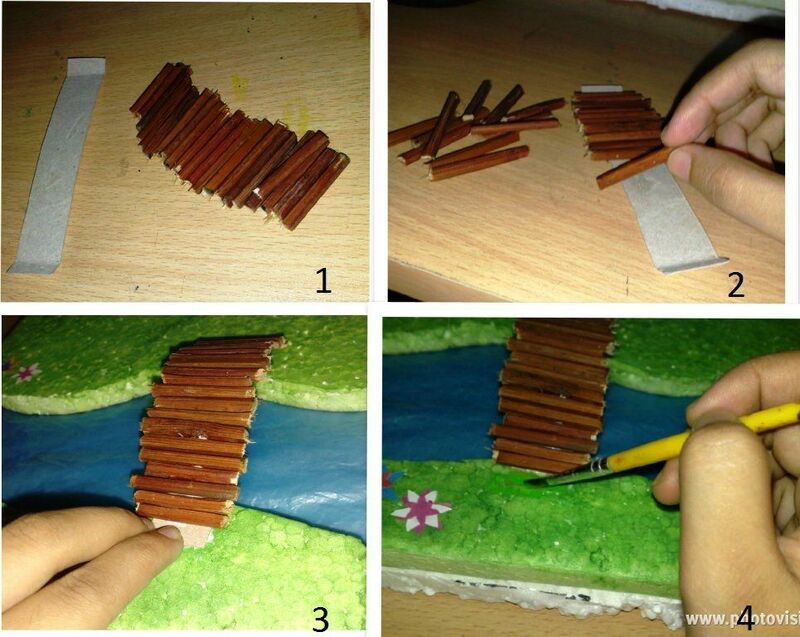 Use small wooden sticks and thick paper to make the bridge. make sure the width of the paper is 1cm less than the sticks length & the papers length is 3-4cm more than the rivers width( so that you can bend it). 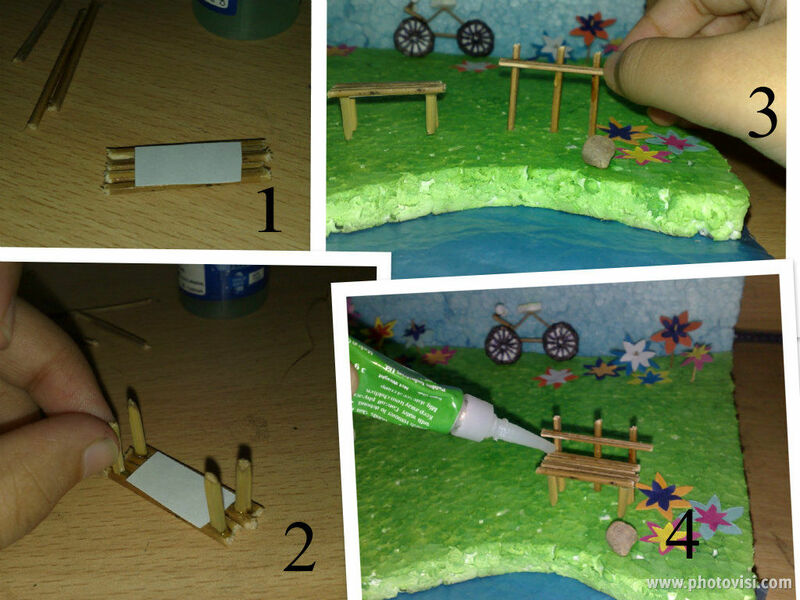 Glue all the sticks on the paper and place the bridge over the river as shown in the picture. 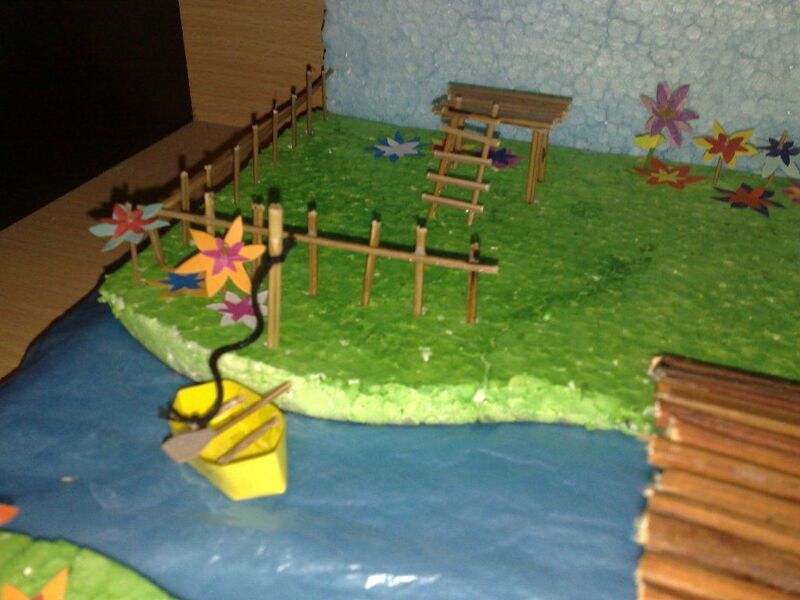 I used yellow paper to make the boat. You can put an origami boat if you want, would be easier. 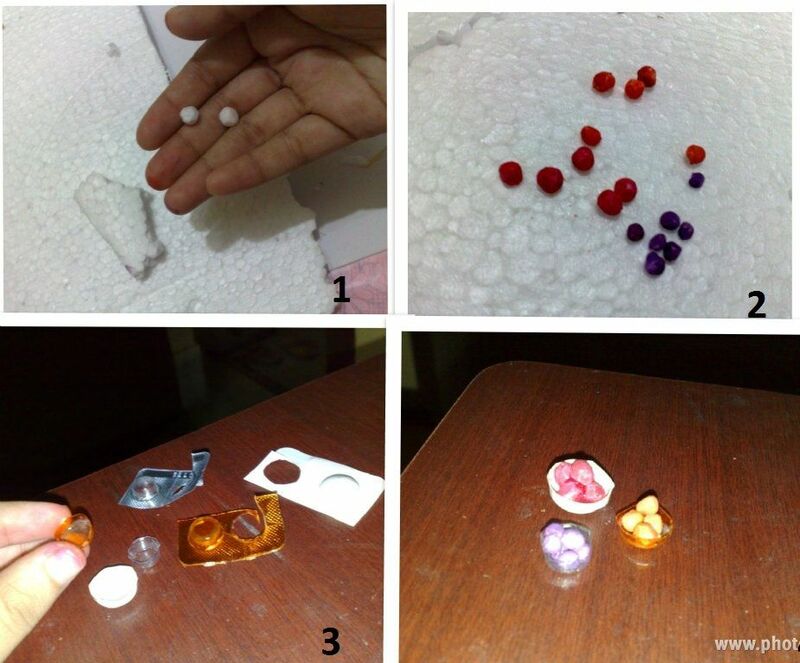 I used the small (round) pieces of thermocol sheet to make tiny fruits & tablet packages to make tiny bowls. 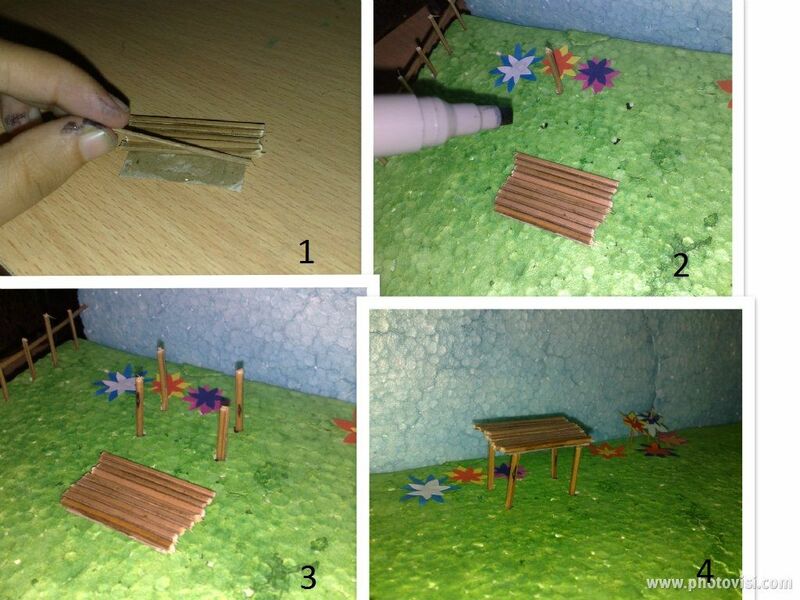 Used small sticks to make the bench & the place with a hanging ladder. 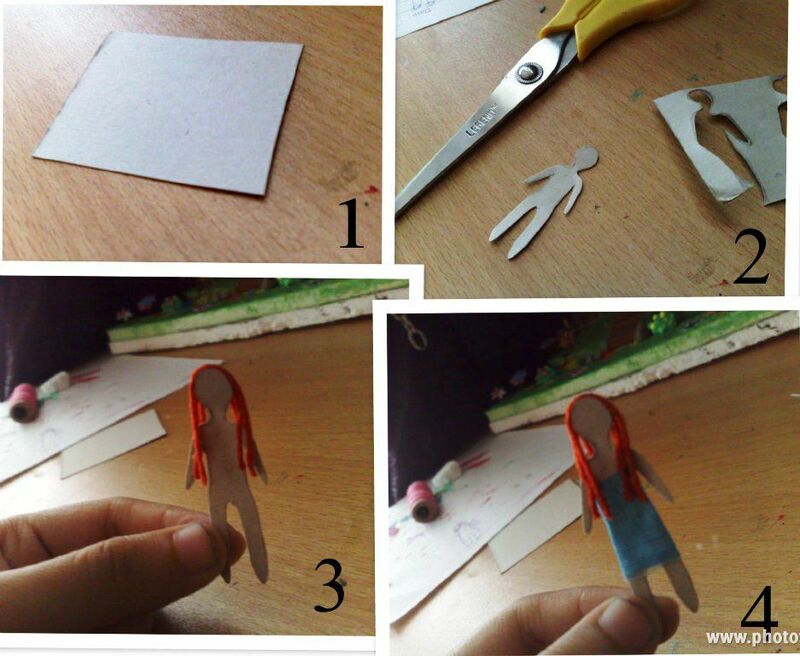 Cut small pieces of thermocol sheet to make bushes & tree. 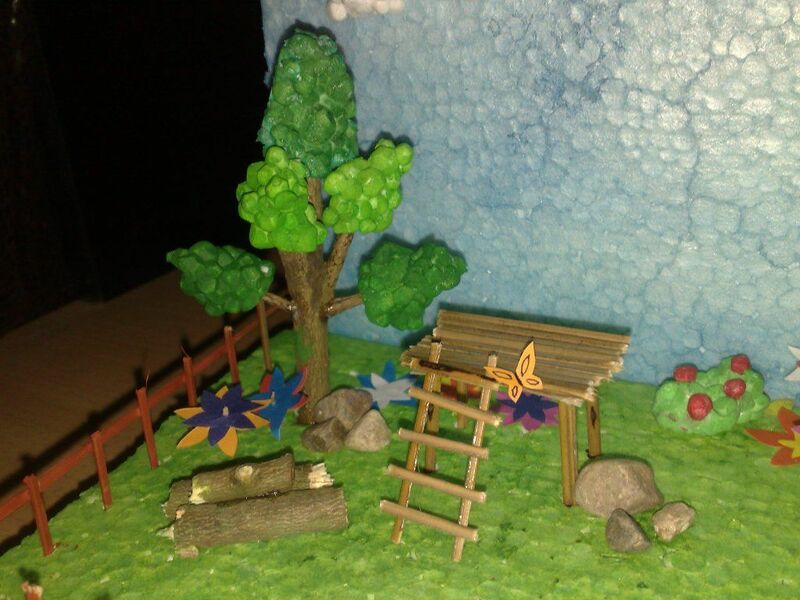 I used a small tree branch & glued some small thermocol pieces to make the tree. 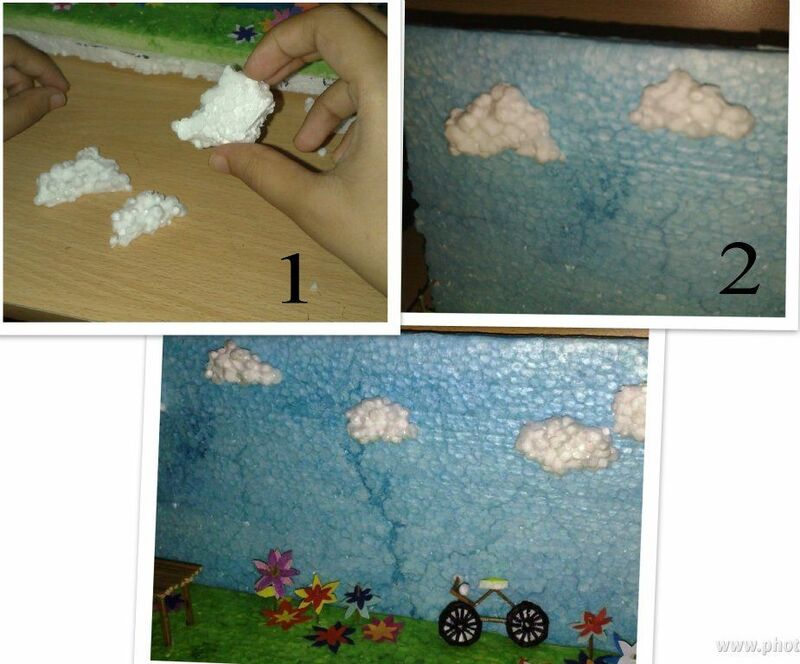 Again, use small thermocol pieces to make the clouds. They really look fluffy!!! Done! add anything you want... <3 small ville. 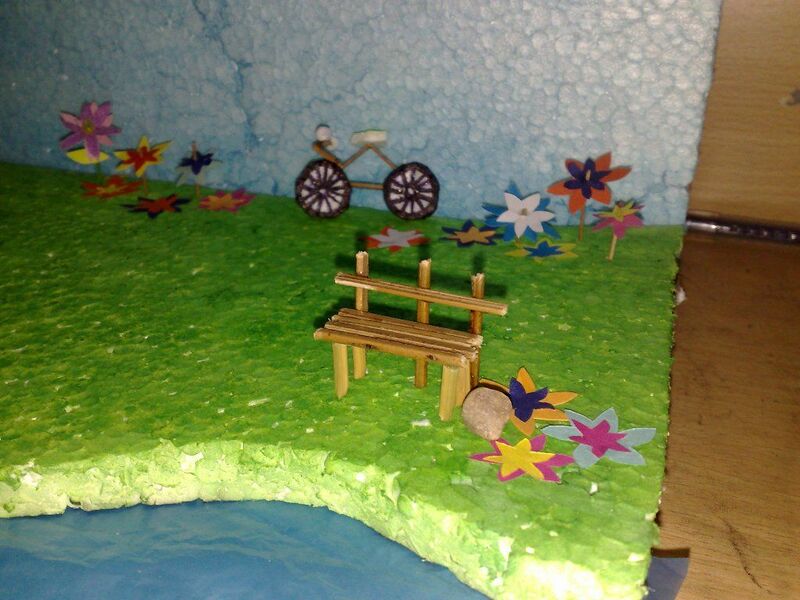 I made this miniature scenario when I was at school. I decided to make another one for my youngest sister. It makes me just want to be there and enjoy all that goodness :) SO cute!!! Yes, that would have been lovely! thanks! You did a beautiful job on your mini-world! Love the figurines! That looks fantastic, nicely done!